Model T Ford Forum: May I say something? Model T Ford Forum: Forum 2018: May I say something? I'm a newbie, don't own a T yet but am totally impressed by the friendliness and willingness to help exhibited by every single person I've come across on this forum so far. Such a fine group of people only makes me want to join your ranks even more! Just dont ask about marvel mystery oil and you will be fine. Welcome to the hobby. Or the affliction as some people call it. You are right that the people are first rate. Be sure to find a local T club to get involved in. Also the MTFCA is a quality organization, and has a first rate magazine. You already found the forum, so you can access the home page from the selections at the top of the page. I hope you find a T to have fun with. 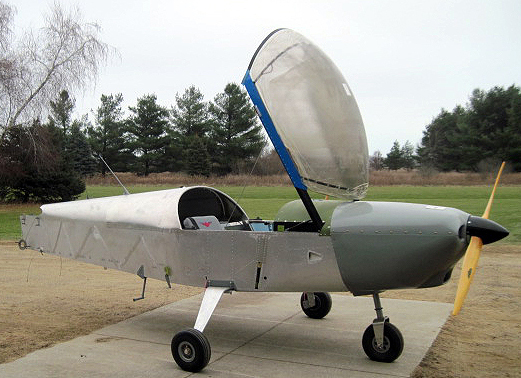 MMO is also a hot topic in the antique/classic airplane community. Actually I was going to ask for opinions about chrome plating an entire T body....kidding! I like MMO, just don't use four oz. like is recommended. Boggs down my engine, but 2ozs works fine. Two other HOT Topics are water pumps and motor oil. Read up on whatever interests you, then you will be in a position to ask more relevant questions. Tim...I'm about 18 months into the world of T's. However, I've been messing around with old cars since I was a kid (I'm 49) and even run a national car club dedicated to a different old car. And I agree with you. Model T guys (and gals) are among the best of the best of the old car hobby. For the most part they're unassuming, approachable and willing to help...kind of like the Model T itself. Welcome to the forum Tim. At some point, everyone here was in your shoes, so ask away and don't be shy. Love the profile pic, at some point I�d like an L-16 too. Darryl, you forgot to tell him not to mention what type transmission bands to use..... Kevlar bands vs cotton or wood. Joking aside, welcome to the forum, Tim! You will find that any question under the sun that is T related can be answered here. Welcome. If you can augment your online presence with ground time by going to shows and finding a T owner in your area as a guide you�ll have a complete picture of what�s out there. Fiddling with .. and driving my �23 T is an outlet that takes me away from life's stresses. Something great about being focussed and simple problem solving that is so good for the soul. 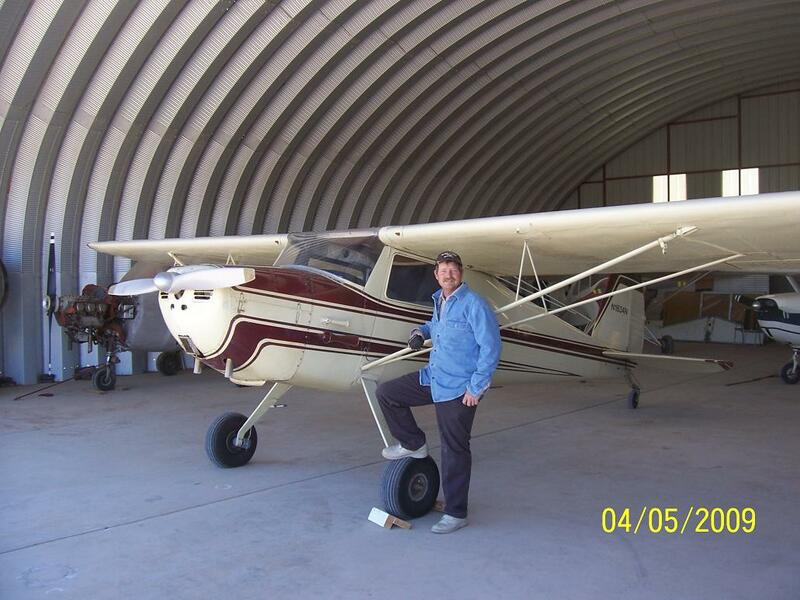 I have a lot of fun playing with the old cars and airplanes as well. I'm sure that you will enjoy model T's as much as I. You've got some first rate toys there John. Thanks Don, I need to probably sell the airplanes. I have a 27pu,26 touring,25 pu, 14 roadster, and an 11 Maxwell to work on. I've had the L-16 since 1979 - bought it as a basket case and restored it. Fun flying but slow. The airborne equivalent of a Model T - even sounds like one. Tim Juhl: I totally agree with you! For years, I dismissed Model Ts as too common and easy to restore, despite the urgings of Model T owner friends to get one. 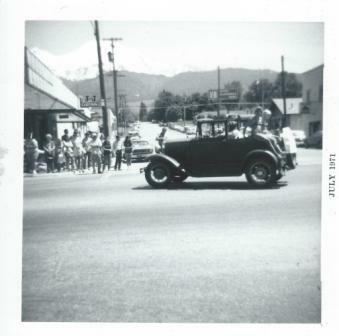 So, I focused on the oddball cars. But then I realized how much fun the T guys were having and all the touring they were doing. I've been in this hobby longer than I care to divulge and, frankly, never cared much for clubs, politics etc. BUT, it has been completely different with the T folks -- at least in my experience. A nicer, more friendly, more helpful bunch of people I have never met. And fun and funny. Hmm, is that a BeDe 4 kit? One of my high school friends' father was building one in his basement. 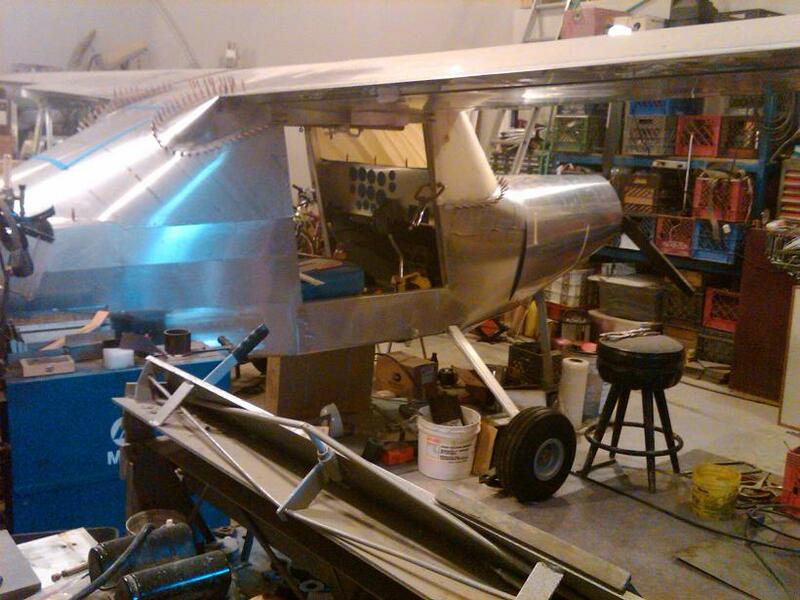 We had a bet going on as to who would finish their project first, my Model A or his Plane. I won! Tim, my kit , Canadian ARV Griffen would probably be done had I installed a plane engine. I have installed a ground power unit 180hp turbine. Sooo it doesn�t sound anything like a model T.
I purchased it in 98 and got about 60% of it before the company went out of business. So a lot more building and re-purchasing many of the parts from vendors. I have ran it a few times and that was exciting. 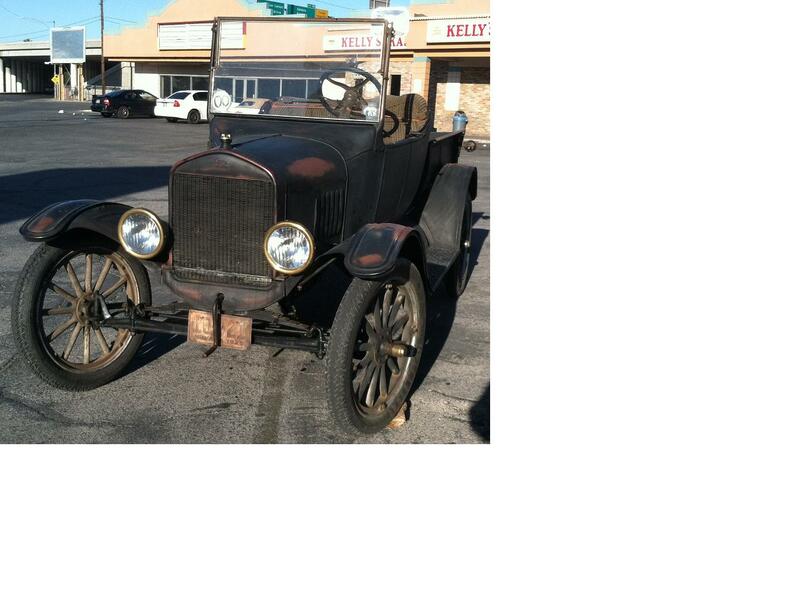 Problem is I haven�t worked on it since I got my first Model T.
Harold, Well, to be fair, it wasn't "done" but it was roadworthy and even had the CHP roadside inspection sticker on the windshield. It was fun showing the officer my "turn signals" (hand signals!). But, yes, you are right, a plane HAS to be done right, you can't just pull over on the side of the road for a minor problem! Unfortunately Mr. Britt never finished his plane. John, I was going to ask you what the powerplant was...couldn't see any cylinders. 180 HP in that size aircraft would really perform! I've got a Aussie Jabiru six cylinder on mine. I have to pull the heads and replace the push rods and hydraulic lifters before I can fire it up. Do that and mate the wings to the fuselage and I'll be done. Tim, When it's 90% done you only have 90% to go. I scratchbuilt an FAA-approved instrument panel for my beloved Comanche. It took a year to get it done. That cured me of building airplanes. Welcome to the amazing community Tim. 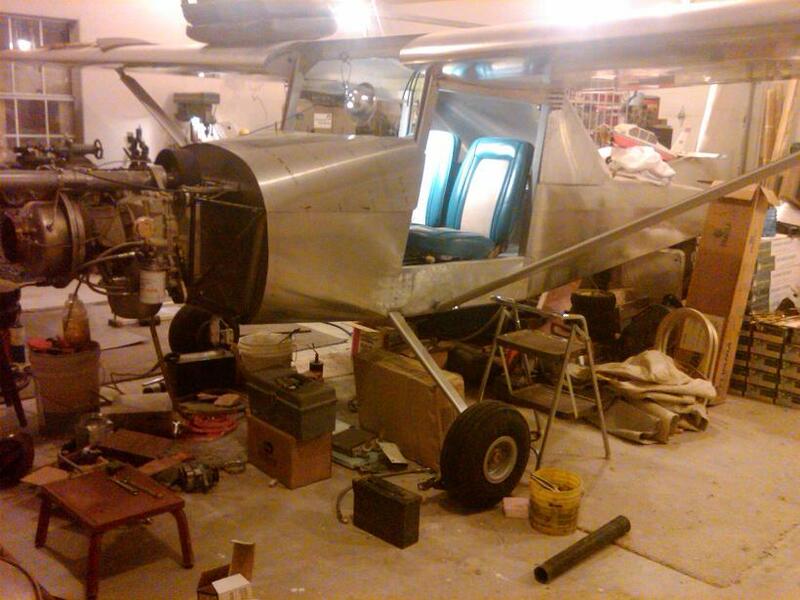 A friend inherited a 601, it also has a jabiru engine and it is also 90% done.